It’s impossible to look at the history of marijuana activism in Canada and not think of Marc and Jodie Emery. 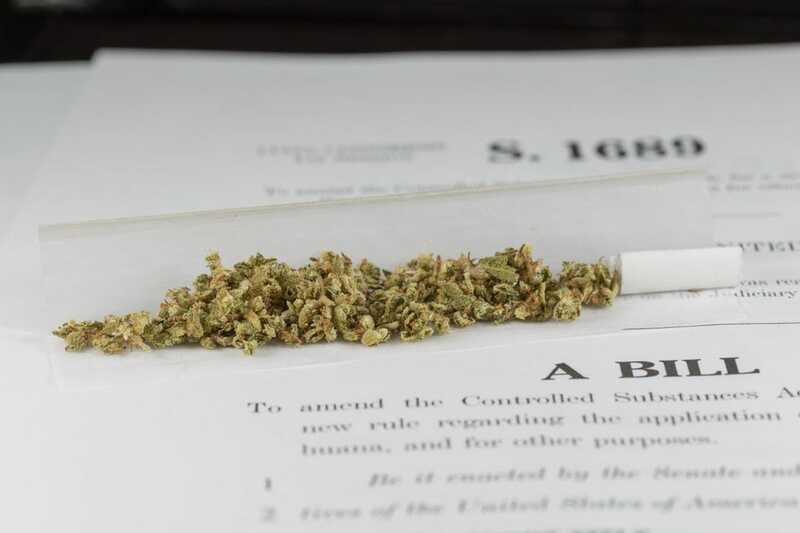 Their decades-long fight with the powers that be have culminated into a good part of the reason we are heading toward adult-use cannabis across the nation. Throughout this battle, they have lost everything, and regained it again, just to lose it once more. The perfect example of this would be the four years Marc Emery spent in a U.S. prison for openly selling mail-order seeds across the border. Canada’s unwillingness to stop this extradition of a nonviolent “criminal” was a stark example of a government not supportive of the needs of cannabis users everywhere. Now, we are at a point where Canada is scheduled to legalize marijuana for everyone 18 and older. Despite that fact, the Emerys have once again been targeted by authorities; and this time, the government has taken away a most precious possession — their life’s work. This week, as part of their bail conditions, Marc and Jodie have been forced to cut all ties with their brand Cannabis Culture. Yesterday, Marijuana.com reported the facts on the ground as Jodie Emery headed to Vancouver to remove herself as director of the company. Once that task was complete Jodie took the time to speak with us about the reality she and her husband must confront. What does it feel like to hand over something that you essentially put your blood, sweat and tears into? When I moved to Vancouver in 2004 I wanted to do activism so I started working with Marc Emery at Cannabis Culture Magazine and Pot TV. In 2005, I was made the Assistant Editor of Cannabis Culture Magazine. I spent every day slaving away over that beautiful print publication and also engaging in activism because that very same year Marc was facing life in prison. I took great pride in what I did. It’s not just a magazine, a head shop, a vapour lounge or dispensaries, it’s an idea of what legalization looks like. It’s a mission statement for people who believe that we shouldn’t go to prison for a plant. So, it is deeply upsetting to have to give up my involvement with what really has been my identity since I became an adult. Now that you are free and clear of your business obligations, what are your next steps? Marc and I are going to do a cross-Canada tour, because we need to have a marijuana truth tour. Right now [MP] Bill Blair is going across Canada and telling all of the police to enforce the [current] laws. We need to educate the public on the facts about marijuana and remind them that this is a civil liberties issue. We have to make sure no one is being arrested anymore before people are able to profit. We need to talk about how marijuana is a safer choice for recreational consumption than alcohol and talk about the opioid crisis which is extremely newsworthy right now because so many people are dying. How is Marc handling all this? I know he spent years locked up in a U.S. prison, which by comparison is much harsher, but how is he taking the loss of Cannabis Culture? Marc is very used to this. He has been arrested, raided and jailed so many times. Marc has had everything taken from him numerous times and he always comes back, builds up again and fights for the cause. He’s taking it well and he is giving me a hard time because I haven’t been arrested and put in jail before, except for Montreal, but I was arrested for four hours at a hotel, not too hard. This time I actually went to jail so I experienced what people go through and that was upsetting. At the same time, Marc is wondering what to do next. He’s had many decades of work behind him and he’s tired of all this prohibition nonsense. I’m sure he would like to finally just retire and relax. Are you concerned about your charges? Do you think they will be dropped? My concern about our charges is that they’re conspiracy charges. That is a very broad charge to lay on somebody because you don’t even need to commit a crime to be found guilty. The fact that three people agree to break the law makes a conspiracy. They have chosen a very easy way to give us tough punishments and these allegations are very serious. This government very much wants to shut us up, since they were unable to do so even when they called in the U.S. government to do it for them [through Marc’s previous sentence]. Our [case] will be in the court for a number of years and we do intend to fight it to the fullest. That will probably include a Charter challenge, where we will try to go to the Supreme Court of Canada to challenge the validity of prohibition entirely. Do you think that the severity of the charges against you were because you were selling adult-use cannabis to anyone 19 or older, as opposed to at the very least, only selling to those with a prescription? [Our] stores being for 19+ adults and not pretending to be recreational was groundbreaking and a lot of people thought we were very courageous to do that. It was something we wanted to do differently than everyone, but we were also addressing the concern people had about Canadians faking their illnesses or paying doctors for access. We thought we could just do away from that model, which was half farce and half unfairness for those who are [actually] sick. We said time and time again, this is what legalization looks like. For the government and the licensed producers and police, they don’t like that model of legalization. They don’t want people to see that vision, they want people to accept their limited oligopoly. We don’t have a liquor registry where if you want to drink booze you have to sign up with the government and give them your information, but for marijuana right now that’s what they are doing. For myself, part of my bail conditions say that I have to use government-approved marijuana medically if I am going to possess any marijuana. In a very sad irony, what they are doing to me is what they are trying to do to Canada. Do you have hope that things will change? Do you think that when adult-use marijuana comes into play that the government will have listened and that dispensaries will be a part of the mix? It will take a lot of engagement for people to change the rules. Once it’s legal federally, it’s going to be up to the provinces and municipalities to do most of the regulating. We are going to need people to engage with their provincial governments to tell them what kind of model of distribution we should have. Change will come, but it only comes when you keep pushing and campaigning. If you sit back and wait they will never do anything. That’s why it’s so important to push the envelope. So to end on a happy note, what is your fondest memory of running Cannabis Culture? The people. The wonderful love that we all have for this plant and this culture. It is almost spiritual in a way. It’s a calling that we know this plant is not just a simple little garden flower or vegetable. ying, from sickness, or hard drugs. It’s endless the way this plant can truly help people. It sounds insane, but it’s more true than any god that I have ever heard of. As Canada edges closer to some form of adult use cannabis, however that may emerge, the Emery’s will do everything in their power to ensure Canadians are given the access they deserve. It’s clearly not just about being able to get high in peace, it’s about what we are allowed to do as adults in a free society. 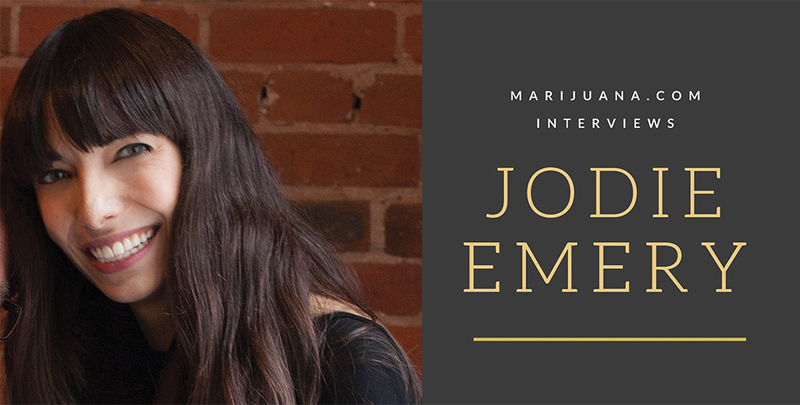 From Jodie’s point of view, marijuana may be the focus, but freedom to choose is and always has been the ultimate goal.